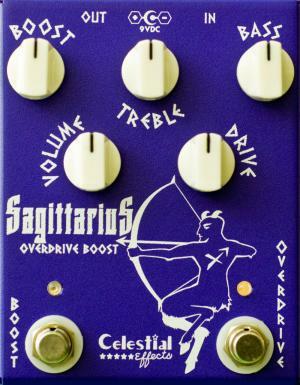 The fine folks at Celestial Effects sent me the Sagittarius Overdrive Boost to give away to you. Yes! To you! Well, if you’re the lucky winner that is. The Sagittarius is a fun pedal. I’m having hard time NOT playing it. We’re talking overdrive and boost in a single pedal with the option to flip the order. The pedal.. just sounds… good. In multiple applications, this guy just stands out! I’ve been a big fan of Celestial Effects, and if you’re not familiar with these guys.. you need to be. Top notch quality – both in tone and components, but I’m always impressed with how sturdy everything is. These guys build pedals that are meant to last. Okay, time is running out, so you do NOT want to miss out on this guy. I will stop taking submissions on March 31st, so you have a few days remaining. To enter the give away, head over to this post and follow the instructions – “Celestial Effects Sagittarius Overdrive Boost Give Away“. If you can, please help spread the word! Mission Engineering Delta III Distortion Give Away Reminder Celestial Effects Sagittarius Overdrive Boost Give Away VFE Pedals Focus Give Away Reminder Celestial Effects Capricorn Rock Distortion Give Away!